At first glance, it may seem like just a black truck filled with bottles of water, but a closer look reveals a darker —- or rather murkier —- side to what's sloshing around inside. 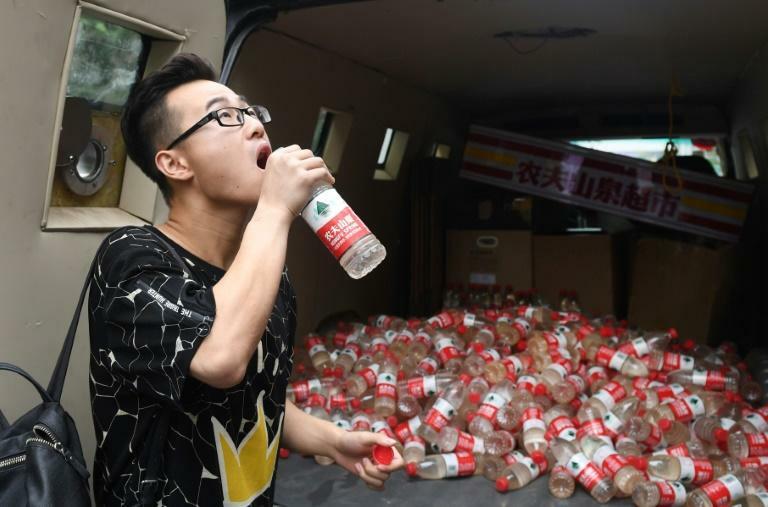 Its cargo of more than 500 bottles of Nongfu Spring, a ubiquitous Chinese brand, filled with contaminated drinking water from the village of Xiaohaotu in China's northwest Shaanxi province has been driven around Beijing as a reminder of the costs of the country's rapid economic development. The mobile exhibition, created by "Nut Brother" -- an artist known for advocacy work on environmental and social issues -- was created in defiance after his initial show was shut down. But an opening ceremony set to be attended by some 400 people Saturday was derailed by authorities, who told the artist the vehicle was parked illegally. The truck -- which had already toured the capital's 798 art district prior to Saturday -- is now off the road, although Nut Brother hopes to persevere with the mobile exhibition using a smaller vehicle. 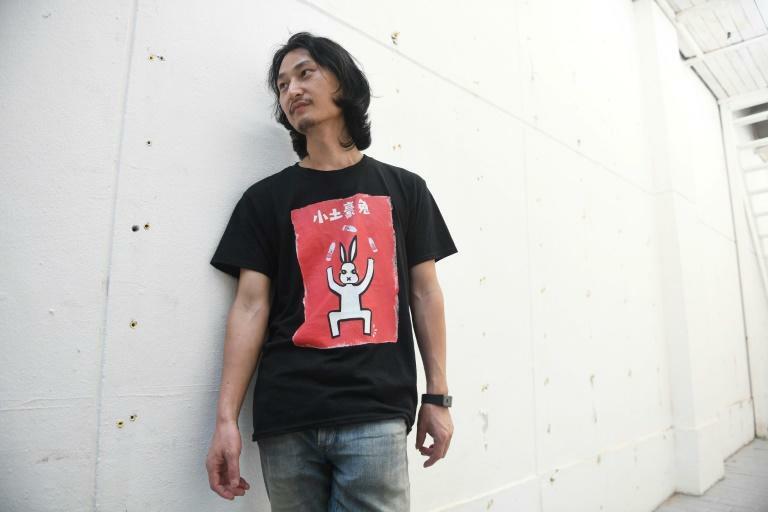 "I think authorities don't want us to go ahead with this," curator Chen Junhui told AFP. The project now threatens to become another casualty of China's increasingly tight control on freedom of expression under President Xi Jinping. Authorities are quick to censor anything they consider potentially political sensitive or stoking social discontent, pushing instead for artistic works that spread "positive energy." It comes as little surprise officials would seek to shut down Nut Brother's work, which seeks to highlight environmental concerns and the ever-growing gap between China's rich and poor. 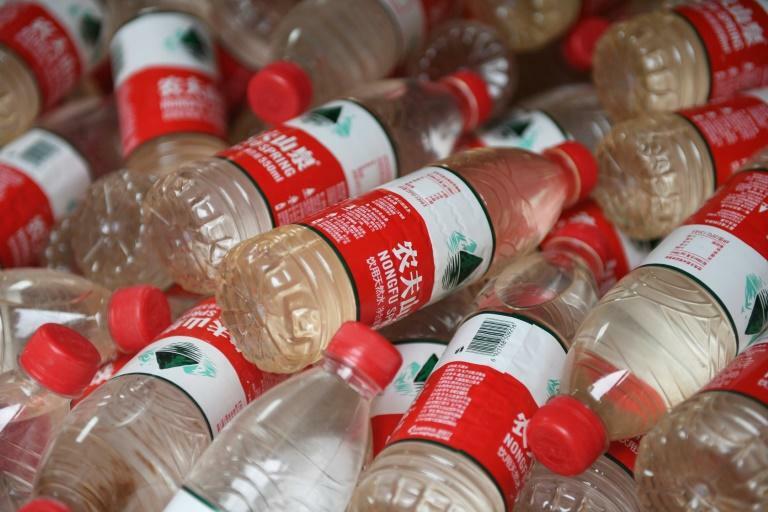 Shocked by Shaanxi's dirty drinking water during a work trip to the province in May, the 37-year-old enlisted the help of villagers to fill 9,000 empty Nongfu bottles and brought them back to Beijing, where they were installed in a museum. "Nongfu Spring literally means 'farmer's spring water', using village farmers as a brand," said Nut Brother -- who does not reveal his name to the media. "But the reality is farmers don't drink this water. A lot of their water is seriously tainted with pollution." Nongfu Spring Company's legal department refused interview requests and calls to their public relations team went unanswered. Large parts of China are blanketed in toxic smog and suffer from polluted waterways as a result of the country's economic boom. While much attention has been paid to the impact of rapid industrialisation on China's air, the effects on the country's water supply are less well known -- and less visible. Across China, much of the water is "unfit for human contact", according to a 2017 report by Greenpeace East Asia, and 14 of 31 provinces failed to meet water quality targets despite a nationwide push for improvement. The samples contain high levels of iron and manganese, which can be toxic in large doses, he added. "They've been drinking this water for more than 10 years," Nut Brother said. "It's not fit for consumption but the villagers have no choice." The roving exhibit seems to have startled some visitors earlier this week. "It's shocking to know we have people who drink this kind of water," one of the onlookers said. Another passerby bravely took a swig from the bottle. "You can definitely feel bits of the dirt," he said. "It makes me feel very lucky to be able to drink clean water. Very lucky."